Richard Popiel, MD, MBA, is a member of the Medical Society of New Jersey and President and Chief Operating Officer of Horizon Healthcare Innovations. He will be a featured panelist on Wednesday, December 14th at 8:00 am when MSNJ co-sponsors “Innovation through Collaboration: A Healthcare Transformation Forum” along with Horizon Healthcare Innovations & the NJHA. MSNJ recently asked Dr. Popiel to provide us with his vision on how Accountable Care Organization (ACO) and Patient Centered Medical Home (PCMH) models will transform the way care is delivered in New Jersey. MSNJ: Please tell us how you became interested in the implementation of Accountable Care Organization (ACO) and Patient Centered Medical Home (PCMH) models. Dr. Popiel: Most health care leaders agree that our delivery system needs to be reformed when it comes to the quality and cost of care. The status quo of the delivery system is not sustainable, and urgent action is necessary to collaborate with others to transform and improve New Jersey’s health delivery system. Horizon Healthcare Innovations, which is a subsidiary of Horizon Blue Cross Blue Shield of New Jersey, is launching programs, like Patient Centered Medical Homes and Accountable Care Organizations, to deliver improved patient care at a lower cost. We feel these patient-centered care models give our delivery system the best opportunity to help all stakeholders achieve the goals of better health and better care at lower costs. MSNJ: How do you see health care being delivered in New Jersey in the next 3-5 years? Dr. Popiel: Over the next five years health care stakeholders will begin to work more collaboratively and focus on improving care coordination, preventive and well care, and help empower patients to take control of their own health. In addition, the way health plans and government entities pay providers will move from a volume-based or fee-for-service approach to one where providers are supported to get and keep their patients healthy. Health Information Technology systems to improve care coordination, as well as using new technologies and various communication methods to engage patients will be critical to transforming the delivery system. MSNJ: What role do you see insurers having in the marketplace? Dr. Popiel: Health plans play a leadership role in collaborating with providers to improve quality and make health care more affordable. To this end, health plans can facilitate a more integrated and efficient delivery system. Insurers have comprehensive patient data, strong IT systems and the ability to share this valuable information with doctors, hospitals and other providers. This information can be a tremendous resource and give physicians and hospitals timely data to provide higher quality, more coordinated care for their patients. Business as usual is not the solution. Health plans throughout New Jersey and the country need to step up in a collaborative manner and be a catalyst of change. MSNJ: Will the financial benefit to physicians be better or worse if they sign up to participate in ACOs or PCMHs? Dr. Popiel: A key component of these new care models, including ACOs and PCMHs, is to pay physicians and other providers for delivering better care at lower costs. Paying doctors for the number of tests ordered or treatments given doesn’t create a healthier New Jersey. Physicians and provider groups that can get and keep their patient population healthy and provide efficient care may financially benefit from participating in these new programs. 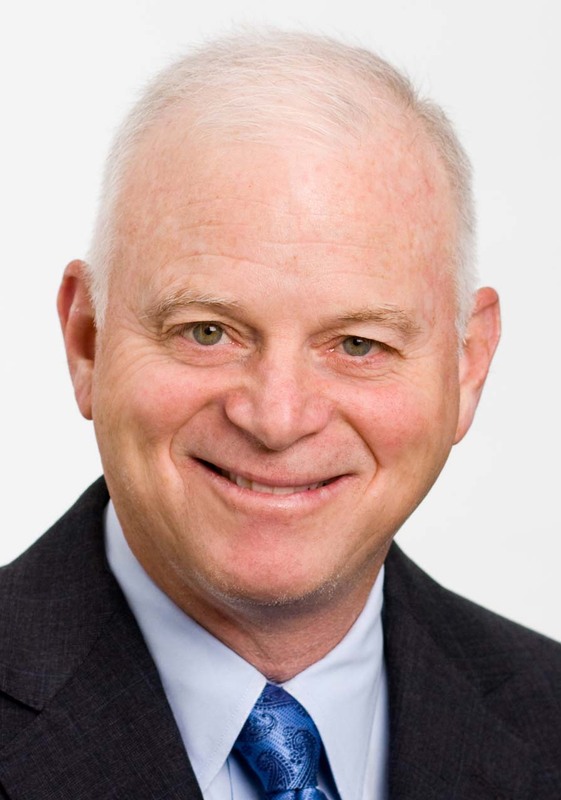 Richard Popiel, MD, MBA, is President and Chief Operating Officer of Horizon Healthcare Innovations, a Horizon Blue Cross Blue Shield of New Jersey company. His scope of responsibilities includes managing all aspects of the company, whose purpose is to launch new models of reimbursement and care delivery with network providers. He continues to serve as a member of the Board of Directors of Horizon Healthcare of New Jersey. He is also a member of the Board of the New Jersey Sharing Network (local Organ Procurement Organization), the local chapter of the American Cancer Society and the George Washington University Alumni Association. Formerly, Dr. Popiel held the position of Vice President and Chief Medical Officer at Horizon Blue Cross Blue Shield of New Jersey. His scope of responsibilities included all medical management activities at Horizon BCBSNJ including Quality and Care Management, Utilization and Pharmacy Management. Dr. Popiel served as the Chair of the National Council of Physician Pharmacy Executives, a Blue Cross Blue Shield Association council comprised of all Chief Medical and Chief Pharmacy Officers. He also served as the Chair of the Chief Medical Officer Leadership Group at American Association of Healthplans (AHIP) and was a member of AHIP’s Board of Directors. Dr. Popiel earned multiple degrees while attending George Washington University in Washington, D.C., including a Bachelor of Science and Doctor of Medicine. In addition, he earned a Masters in Business Administration from Northwestern University Kellogg School of Management in Chicago. He completed residency training in Internal Medicine and Emergency Medicine as well as fellowship training in Toxicology. He is Board Certified in Internal Medicine. For more information on the “Innovation through Collaboration: A Healthcare Transformation Forum” please visit www.msnj.org or click here to register online. Thomas Kloos, MD, is a member of the Medical Society of New Jersey and will be a featured panelist on Wednesday, December 14th at 8:00 am when MSNJ co-sponsors “Innovation through Collaboration: A Health Care Transformation Forum” along with the NJHA & Horizon Healthcare Innovation. MSNJ recently asked Dr. Kloos to provide us with his vision on how Accountable Care Organization (ACO) and Patient Centered Medical Home (PCMH) models will transform the way care is delivered in New Jersey. MSNJ: Please tell us how you became interested in the implementation of Accountable Care Organization and Patient Centered Medical Home models. Dr. Kloos: Both models allowed for the first time the elements of population management to occur at the physician level, and are developing mechanisms to make sure the patients who are part of your practice are receiving the care they need, rather than just those who show up in your office on any particular day. MSNJ: How do you see healthcare being delivered in New Jersey in the next 3-5 years? Dr. Kloos: I see an absolute need to shift to the development of high performing physician networks with greater collaboration among all stakeholders including the patient. MSNJ: What role do you see hospitals and insurers having in the marketplace? Dr. Kloos: Hospitals remain an essential part of the equation especially where opportunities exist for quality programs and transitions of care. Insurers, through development of novel collaborative programs with physicians and hospitals, as well as by placing the right financial incentives in place to drive change, can be the catalysts for new models of care delivery. Dr. Kloos: For primary care physicians, there is no doubt it’s a positive, for specialists who become comfortable in partnering in these models there will also be a benefit in maintaining and expanding their referral base and opportunities for other outcome based payment models such as episodes of care, but it will be outcomes and value driven. Thomas Kloos, MD, serves as President and Chief Executive Officer of Optimus Healthcare Partners as well as President and Medical Director of Vista Health System IPA. He has been involved in all aspects of IPA development and growth since inception in 1995. For more information on the “Innovation through Collaboration: A Health Care Transformation Forum” please visit www.msnj.org or click here to register online. The Assembly Health and Senior Services Committee is expected to approve next week a measure that would require the licensure of Single Room Surgical Practices (SRSPs). S-2780, sponsored by Senator Joseph Vitale (D – Middlesex), was amended earlier this year to exempt all SRSPs from the gross receipts assessment currently paid by ambulatory care facilities, exempt CMS certified SRSPs from the “physical plant and functional requirements” in the current Department of Health & Senior Services regulations, and require the Department to promulgate regulations that better reflect the unique characteristics of a Single Room Surgical Practice. Observers expect the Assembly to add additional amendments that would apply a “grandfather” exemption to all existing SRSPs regardless of CMS certification. is established by a physician, physician professional association surgical practice, or other professional practice form specified by the State Board of Medical Examiners pursuant to regulation solely for the physician’s, association’s or other professional entity’s private medical practice. The AMA today adopted new policies on the health insurance exchanges created by the Affordable Care Act. New policies include AMA support for using the open marketplace model for exchanges to increase competition and maximize patient choice, and the involvement of state medical associations in the legislative and regulatory processes concerning state health insurance exchanges. The new policy also asks the AMA to advocate for the inclusion of actively practicing physicians and patients in health insurance exchange governing structures and for developing systems that allow for real-time patient eligibility information. The policies were adopted as part of a report from the AMA’s Council on Medical Service. New AMA policy encourages the availability of portable medical identification alert systems for patients. Virtual medical identification systems allow emergency medical personnel to access a patient’s medical history and emergency contact phone numbers through a pin number that can be attached to clothing, keys, or stored in a wallet. They allow emergency responders and medical staff in emergency departments immediate access to important health and family contact information for patients who are enrolled in these systems. The AMA House of Delegates voted today to work vigorously to stop implementation of ICD-10 (The International Classification of Diseases and Related Health Problems, 10th Revision), a new code set for medical diagnoses. ICD-10 has about 69,000 codes and will replace the 14,000 ICD-9 diagnosis codes currently in use. A 2008 study found that a small three-physician practice would need to spend $83,290 to implement ICD-10, and a 10-physician practice would spend $285,195 to make the coding change. Ballot and other legal initiatives have recently been proposed in Californiathat would ban infant male circumcision and penalize any physician who performed it. The AMA voted today to oppose any attempt to legally prohibit male infant circumcision. MNSJ members recognized the increasing number of drug shortages occurring in America and sought the support of the AMA on this issue. AMA has been tracking the issue for some years, but the shortages have now become more common and include vital and life sustaining drugs for which there may be no substitutes. To address this issue MSNJ leadership passed a resolution that will require the AMA to support federal legislation and regulations to address the shortages. The resolution seeks action to ensure continuity of supply of vital and life sustaining medications and vaccines. It aslo seeks penalties for non-compliance. MSNJ will introduce this resolution, as an urgent matter, during the AMA Interim Meeting in November and ask for its action plan at the AMA’s 2012 Annual Meeting. The President recently executed an Executive Order to address the critical drug shortages in America. With this attention and the advocacy efforts of organized medicine we are confident that the issue will be addressed. Read the FDA’s report and letter to industry.